Provinces and municipalities in China are holding their people’s congresses to prepare for the National People’s Congress session in Beijing in March. At the Shanghai Congress, Ying Yong was elected the city’s Mayor. Eight Vice Mayors were also elected: Zhou Bo, Weng Tiehui, Shi Guanghui, Wu Qing, Xu Kunlin, Peng Chenlei, Chen Qun, and Gong Dao’an. Mayor Ying Yong highlighted deepening free trade zone reform and encouraging rental of homes as government priorities. He added that Shanghai will expand functions of free trade accounts that are used to make financial operations in the FTZ. So far, 70,000 such accounts have been opened. Local lawmakers urged stricter management of the city’s express and food delivery services to ensure public security as well as deliverymen’s safety and rights. In the first half of last year, there were 76 serious traffic accidents related to food delivery in which deliverymen were either injured or died. 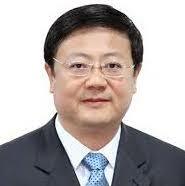 In Beijing Chen Jining has been elected Mayor of the municipality. He was appointed acting Mayor in May 2017. 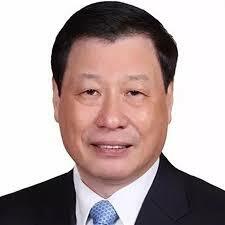 He previously served as President of Tsinghua University and Minister of Environmental Protection. Nine Vice Mayors were also elected: Zhang Gong, Yin Hejun, Zhang Jiandong, Sui Zhenjiang, Wang Ning, Yin Ying, Lu Yan, Yang Bin and Mrs Wang Hong. Beijing has boosted funding for the war on smog by almost CNY600 million this year, with one of the main targets the growing threat from vehicle exhaust, especially diesel trucks. The city government has allocated CNY19 billion to support comprehensive measures against air pollution, up by CNY590 million year-on-year, according to a report by Mayor Chen Jining to the first session of the 15th Beijing People’s Congress. The city also plans to expand the subway and bike lane networks to help reduce gridlock in downtown Beijing, but authorities do not expect to see major improvements in traffic flow in 2018.